Why Phases of the Moon? Our newsletter appears approximately once a month. Our purpose is to contribute to the NVC learning of people who have taken at least an NVC Level 1 workshop, and help us stay connected as we endeavor to deepen a culture of peace within ourselves, our families and the world. We believe a Level 1 offers so many new ways of thinking that additional support for learning and integration could be helpful. In this month's issue, we feature a guest writer who has a new and creative way to think of The Four Chairs (If you are unfamiliar with that metaphor, go here.) Gwen Heath took an NVC Level 1 workshop at LINC Wellness & Recovery Center in Augusta, ME. She submitted this article for use in their newsletter and it is republished here with their permission. Images have been swapped for ones that are in the public domain. Recently I attended a nonviolent communication class. We were asked how we would describe what nonviolent communication is. Imagine the home of Edith and Archie Bunker. It is with ease we see the two familiar chairs sitting in their living room. Both chairs were worn and fit their owners to a tee. The personalities of the owners became the chairs. Edith saw the world from her chair very differently than Archie in his. We all knew that no matter what happened, Edith would believe it was her fault. She carried the burden of her family's trauma like a vintage martyr. Edith is the epitome of a victim. We can hear her say it; nearly every word out of her month, "It is all my fault." Good old Archie blamed everyone and anyone for everything. He blamed better than a pro golfer putts. His message to the world, "It is all your fault!" Each one of us owns these two chairs emotionally and our rumps fit ever so well in our favorite way to see the world. Why would we sit in either chair? It is the way we have been taught to see the world. It has to be someone's fault, right? Nonviolent communication gives us an opportunity to see the world from a needs perspective. Simply put, all human beings have needs. We all try to get them met. Life gets interesting and a little messy by the way we try to get our needs met while our lives bump into other people trying to get their needs met. What is a need? Those things everyone must have to live. The easy ones to identify are food, water, and shelter. The needs that aren't so flamboyant are, love, acceptance, to be seen for our intentions, to be part of a community, and to matter. These, to name a few, are just as important to survival. We have all learned some interesting / creative ways to get needs met. Why do we, or others, lie, manipulate, take sides, fight, or smile when we want to cry? You guessed it, we are attempting to get a need met. When we repeat a behavior that we are trying to stop, how do we feel? If we chose our Archie chair, "It is your fault" - have you ever heard yourself say, "You made me__________"? - that is good old Archie again. If you find yourself berating yourself with, "it is all my fault," you can just call yourself good old Edith. 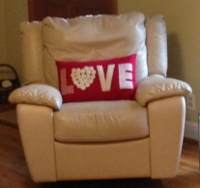 Nonviolent Communication gives us two new chairs to see the world from. The third chair of our living room set, we can picture as a lazy boy recliner. Have a seat, put your feet up, take a breath, relax, and ask yourself a few questions. "What sensation is happening in my body?" Our body is a great tool - bellies get butterflies, shoulders tighten, foreheads ache - to tell us, "Pay attention, something's happening here." So take a minute and acknowledge to yourself where in your body you feel, and what you feel. Example, "I said ______," and now my chest is tight and I feel a little nauseous. The second question to ask oneself is, "What need / needs am I trying to get met?" How does this help? For me it takes away the shame and blame. Knowing that needs are motivating my behavior. This lets me look at what I am truly trying to accomplish. Then I have the opportunity to choose words and behaviors that will peacefully and respectfully get my needs met. Nonviolent communication offers a fourth chair as well. Now our living room has the Edith and Archie Bunker chairs, the lazy boy and now a yoga mat. A yoga mat. How is a yoga mat a chair? Let me explain. A yoga mat for me represents a place that in the beginning looks impossible. Just getting started is tough. It requires commitment and practice to use properly. 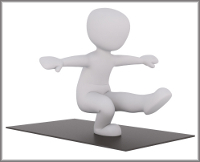 Like nonviolent communication, the people I know, who know how to use a yoga mat, have better balance, flexibility, and peace. I often want what they have without doing the actual work. So what do we do on this yoga mat? We start like we would in any exercise program, we stretch. We stretch our imaginations. We do this by becoming curious about someone else. I wonder, "Why did they say that?" I wonder, "Why did they do that?" "What needs are they trying to get met?" It is amazing how others have the same needs we have. This is an emotionally freeing place to be because when we look at needs instead of words and behaviors our situation can move from powerless victim to powerful victorious human beings. We are free to choose strategic ways to get our needs met as well as to let ourselves and others off of the guilt hook and meet our needs without hurting others. We are all a bunch of kids on the this big blue marble trying to get our needs met. Trainings listed here are in the Maine region. If you wish to list an event, please follow our guidelines for submission. Please note that both certified and non-certified trainers, (who are willing to follow certain requirements of the Center for Nonviolent Communication), may be leading the posted trainings. Listing here does not imply endorsement by the Maine NVC Network of the trainer or the event. After completing your registration, a screen will appear with payment options. If you prefer not to use the online process, you can print and mail this form. will be teaching in Maine for the third time, with a range of offerings. The following options may be taken as add-ons following the above 3-day workshop. Also, Sexuality in the Brain may be taken as a stand-alone IF you have completed a 3-day workshop with Sarah Peyton at an earlier time. Family Constellations in Action may be taken as a stand-alone by anyone. The deadline for registration AND PAYMENT is FEBRUARY 23, 2018. Also, there will be no refunds made after Feb. 23. If you find it necessary to cancel your registration BEFORE Feb. 23, your payment will be refunded minus a $20 handling fee. Thank you for your cooperation. Sarah Peyton has launched a website for her soon-to-be-released book, Your Resonant Self. You can pre-order the book and sign up for FREE meditations from Sarah. You are welcome to come when you can. Two groups meet biweekly, one on alternate Wednesdays; the other on alternate Mondays. Authentic Communication Groups are coaching groups designed to open you up to an approach to living that offers greater peace, personal empowerment, and conscious connection to that which sustains and enriches life. See also the Practice Groups page. Do you want to receive emails about upcoming NVC trainings and other NVC events in and near Maine? The group is moderated and is only used for announcements of regional workshops and other Maine NVC Network events. Inclusion in list serve announcements does not imply endorsement by the Network. Why "Phases of the Moon" as the name of our newsletter? We think of the moon as representing our NVC practice: although we might not always be able to see it, it is always there. Sometimes we are deeply self-connected to our compassionate self and our NVC consciousness radiates as the full moon. Sometimes we lose self-connection and we steep in judgment and blame; then our NVC consciousness is as hard to find as the new moon. Most of the time we can show our compassionate natures partially, as the waxing and waning of the moon. We welcome your feedback and contributions. If you have a poem, NVC celebration, or a question for Dear Giraffe that you would like to contribute, please email us, with "contribution" in the subject line. Material included in future issues is up to the discretion of the newsletter team. 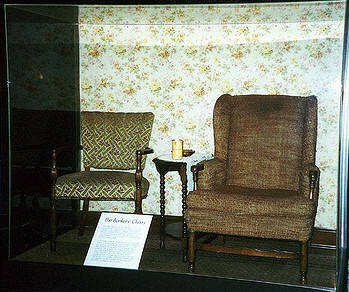 Recliner chair, cropped from this public domain image. Yoga mat, cropped from this public domain image. Nonviolent Communication, NVC and Compassionate Communication are all registered trademarks of the Center for Nonviolent Communication (CNVC). We do our best to use them in accordance with the published Guidelines for Sharing NVC.